Representing clients throughout Allegheny, Butler and Beaver counties, we offer expert legal counseling and representation in probate lawyer administration, estate planning, civil litigation, business law, and real estate law. Even if the deceased died with a will, there still may be issues that need to be resolved. We guide families through each step of probate. 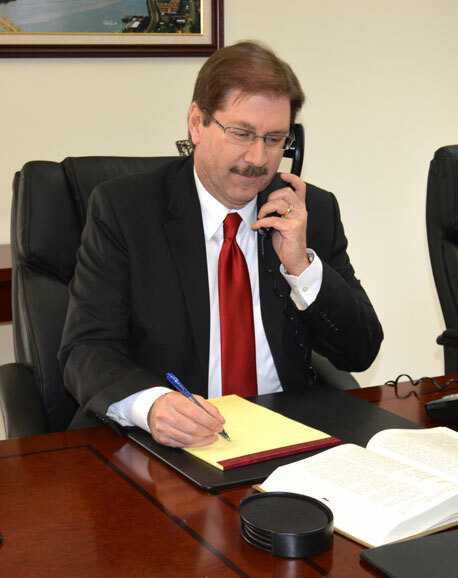 David W. Tyree is dedicated to helping clients with civil litigation matters. David W. Tyree, P.C., assists business owners develop company agreements. David W. Tyree received his Bachelor of Science degree in Administration of Justice from Pennsylvania State University in 1981. In 1984 he received his Juris Doctor from Capital University. David W. Tyree was admitted in 1984 to the Pennsylvania and U. S. District Court, Western District of Pennsylvania, and in 1985, he was admitted to practice in Ohio. He is a member of the Allegheny County Bar Association and an arbitrator on the Commercial Panel of the American Arbitration Association. Mr. Tyree has been an approved attorney for Penn Attorneys Title Insurance Company since 1985.